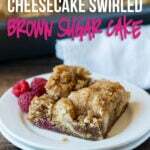 The cheesecake base is my classic recipe filled with 4 bricks of nutrient rich cream cheese and bone healthy sour cream (you could easily use plain greek yogurt in place of the sour cream), but rather than using regular white sugar to lightly sweeten it, I substituted in a little bit of brown sugar. 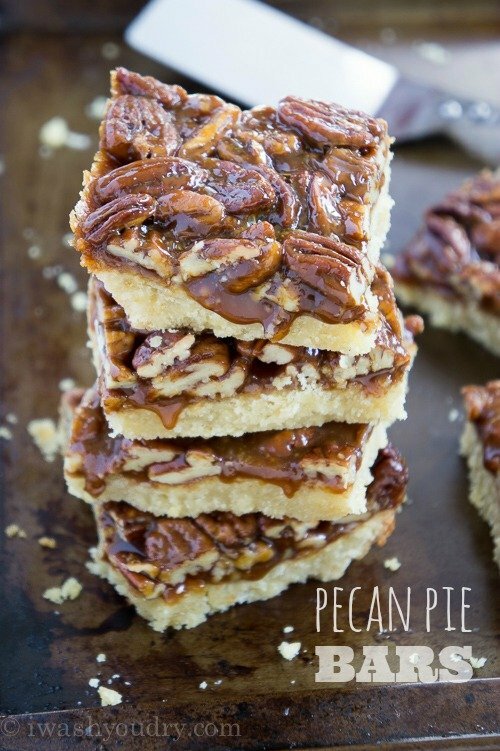 It’s the perfect base for a layer of pecan pie. 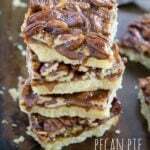 Obviously I’m all about simple, simple, simple… so when it came to adding that pecan pie layer on top, I went the easy route. All I did was coarsely chop some pecans and spread them over the cheesecake filling. Then I whisked some eggs and caramel ice cream topping together to create a rich and delicious pecan pie filling. 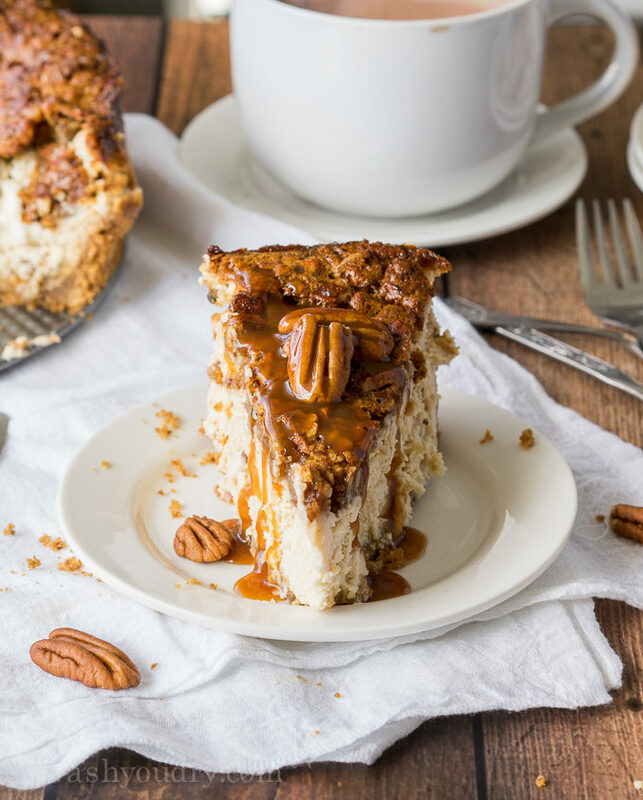 Just pour it over the pecans and bake the cheesecake! I won’t lie, the filling was really close to the top and I was nervous it might over flow while baking. I placed it on top of a foil lined baking sheet just in case, but nothing spilled out! Success! Like I said… I’m smitten. This cheesecake is so so so good. Even the crust has bits of pecans and brown sugar in it! 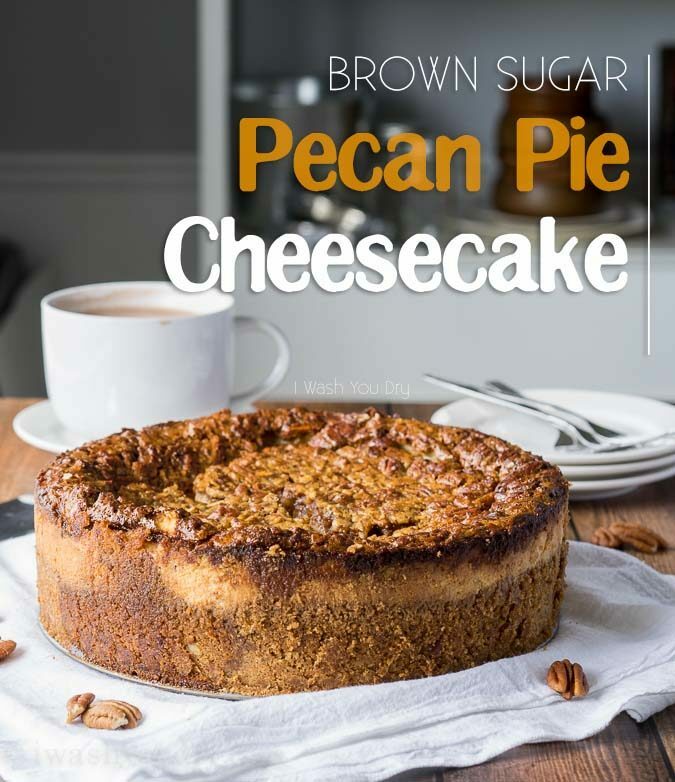 Top each slice with a few more pecans and a drizzle of caramel ice cream topping… then drift away into cheesecake bliss. 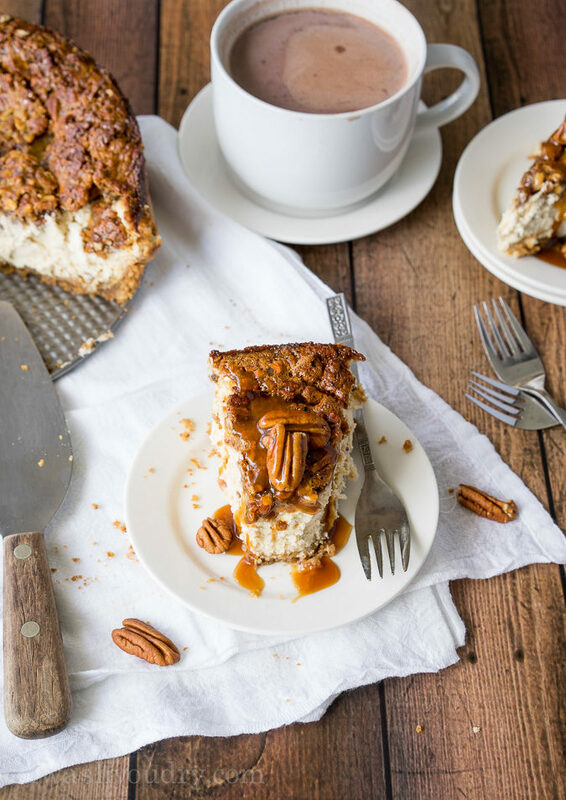 This Brown Sugar Pecan Pie Cheesecake will win over the crowd with its delicious caramel flavor! Place the springform pan carefully on a large, foil lined baking sheet and bake for 60 to 70 minutes, or until the center of the cheesecake is only slightly jiggly. Turn the oven off, and crack the oven door open slightly, letting the cheesecake rest inside the oven for 1 to 2 hours. 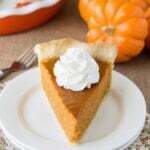 Let cool on counter top until room temperature, then refrigerate (covered) for at least 2 hours, or overnight. Run a knife along the edges of the cake to loosen from the spring form pan. Gently unlock it and clean up any rough edges before topping with additional pecans and caramel ice cream topping if desired. Enjoy! disclaimer: This post is in partnership with Arizona Milk Producers. Reminding you to get your daily 3 doses of dairy! All thoughts and opinions are 100% my own. Thank you for supporting the brands that help make I Wash You Dry possible. I made this for thanksgiving last year and again today for my husbands birthday. 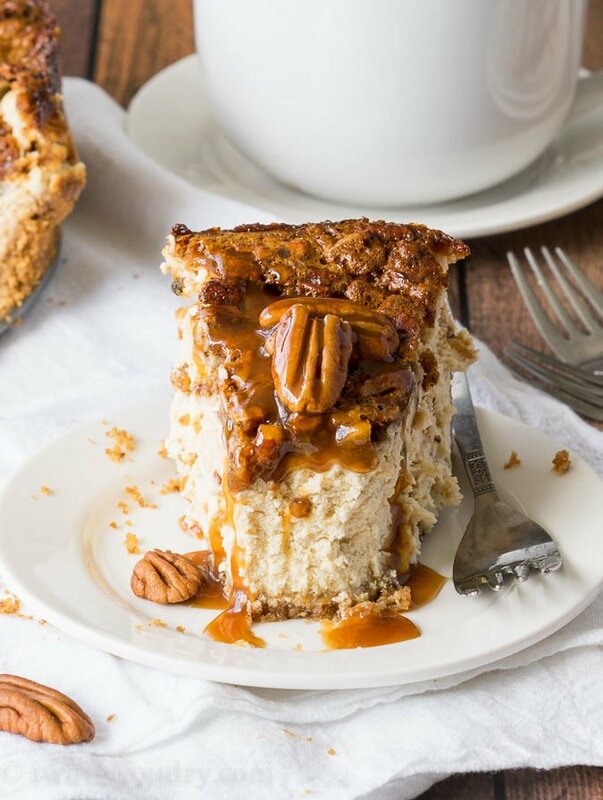 In your picture the pecans and caramel look like they stayed on top of the cheesecake and both times I’ve made it they immediately fall to the bottom. How did you keep from this happening to yours? Was your cheesecake mixture really runny? Mine is usually pretty thick, so the topping stays on top. 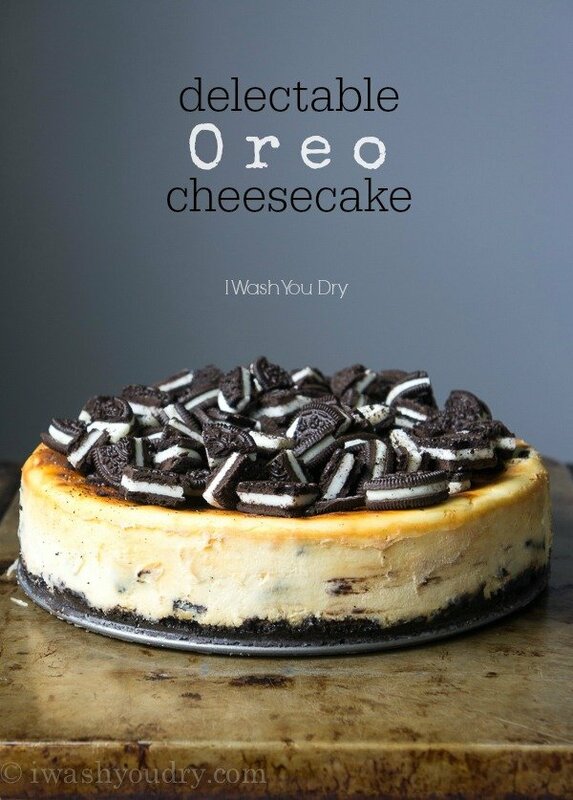 I am making this as my first try at cheesecake. My goodness… it took me a lot longer. I mixed the pecans, eggs and caramel sauce all together… oops! I very gently added it to the top of the cheesecake. Today is my husband’s 45th Birthday.. this is what he wanted. I believe I should have done this yesterday! Fingers crossed it turns out ok.
Hope you enjoyed the cheesecake! I did not have a spring form pan but I did have two normal size pie pans. I split between the two pans and it worked fine. I threw a couple extra Graham crackers and a couple extra tbsp of butter in the crust mix to make sure I had enough crust for 2 pies. There was plenty of filling and topping for 2. The only thing I would have added if I had more would have been another cup of pecans to fully cover both pies. Thanks for letting us know how it went! Glad you enjoyed the recipe! How far in advance can I make this? Could I freeze it? You could make it at least a few days in advance. Freezing would work too! Just wrap it tightly before placing in the freezer! The topping gets baked along with the cheesecake! I thought the same thing and I’m so glad you made this comment because I read it once my cheesecakes had already been in the oven 20 minutes without topping. I reread the recipe and thought possibly the topping goes on first. Hopefully, I caught it in time. I’ll find out soon. I don’t know what 8large sheets of graham crackers translates to in cup measurement terms. Any help? I would say at least 2 1/2 cups of crumbs. Is one sheet the 4 rectangles? MMMM this is delicious. I made half a recipe since there are only two of us at home. Used a 8×8 glass baking dish. I baked this cheesecake in my convection oven. Baked the crust at 350 for 5 mins. then lowered the convection oven temp to 225. 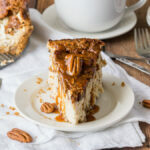 I covered the cheesecake with foil and baked it at 225 for 35 mins, removed the foil – upped the temp to 325 and baked for another 10-15 mins to brown the caramel pecan topping. No water bath. EXCELLENT – turned out magnificent. Loved the usage of brown sugar instead of white sugar. I tried this receipe and it was delicious! I had one problem. Cutting through the top layer was very difficult and it all fell apart, looked like a mess. Any suggestions. Hi there, just making this recipe now and I have 2 issues. First, I missed the part about the pan of water in the bottom rack, is this a deal breaker? Second, the cake has risen and expanded over the edges of the pan and is cracking with parts falling off. It also was incredibly jiggly after 70 minutes in the oven and needed to stay in longer which is causing the topping to burn. Should I have only filled the pan to a certain level and not used the whole recipe? 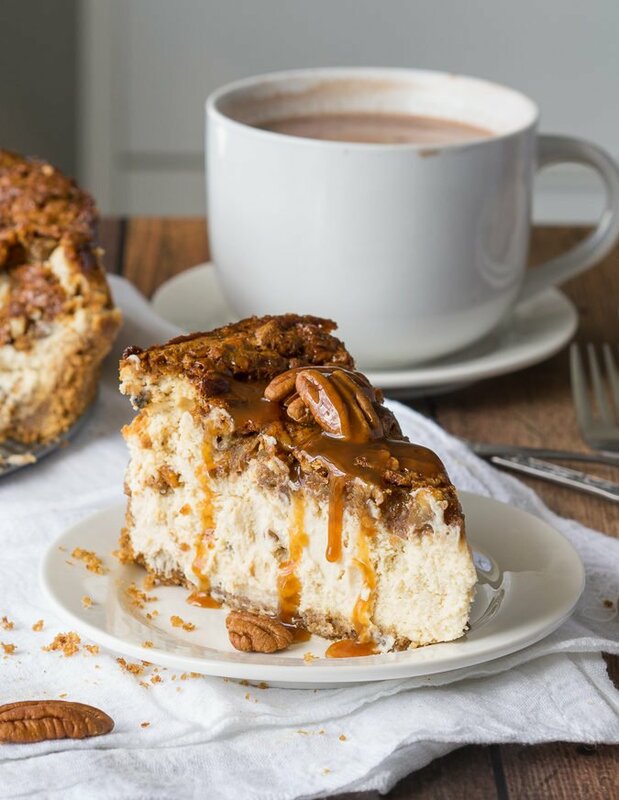 I’m in the process of making this and the three eggs whisked into the caramel sauce have really made the top expand, get fluffy, and separate, making large cracks in several spots. It actually looks a little eggy. Is this normal? Will it smooth out as it cools? Hi, I was wondering what 8 large graham crackers are in ounces? This looks great! I would love to make it for Thanksgiving, but I have a little tot running around and can’t leave the oven door open as suggested in the directions. Is there any way to get around this?